Hope everyones weekend is going well. A few weeks back I couldn't help but buy these super fun silky / flowy / awesome safari printed type shorts! And for only $10 who could say no!? When I first bought them it was still way to cold to wear them, however it is still sorta chilly outside but when the sun is out they are perfect! 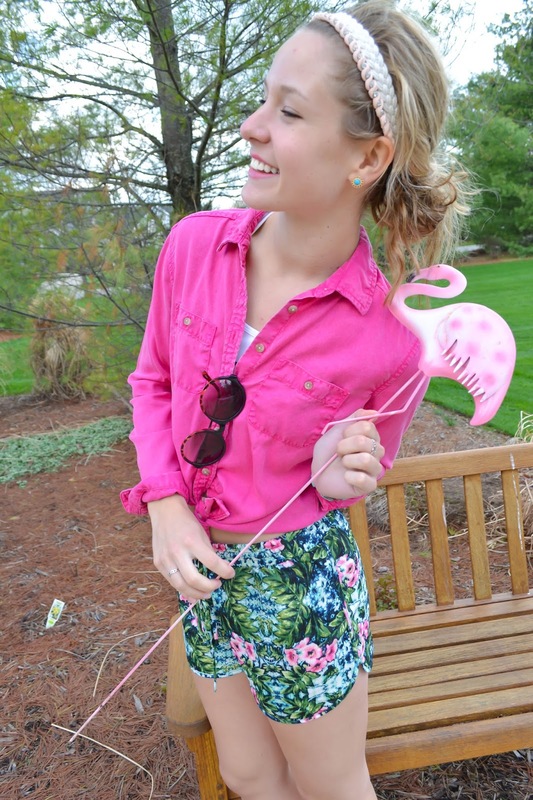 I paired these printed shorts with a basic bright hot pink button up that I tied at the bottom. I like pairing a pattern with a color that is less shown, therefore the hot pink makes it pop. I've been really into wearing low buns recently - mostly because I've been so busy it's hard to take 30 minutes to spend on curling or straightening, but i'm loving the way the quick buns are turning out. To rock the bun I added two headbands, a cream braided one as well as a light pink studded twisty one. To add a few more hidden pops, I took the light blue / turquoise color from the shorts and added turquoise earrings and a bracelet. 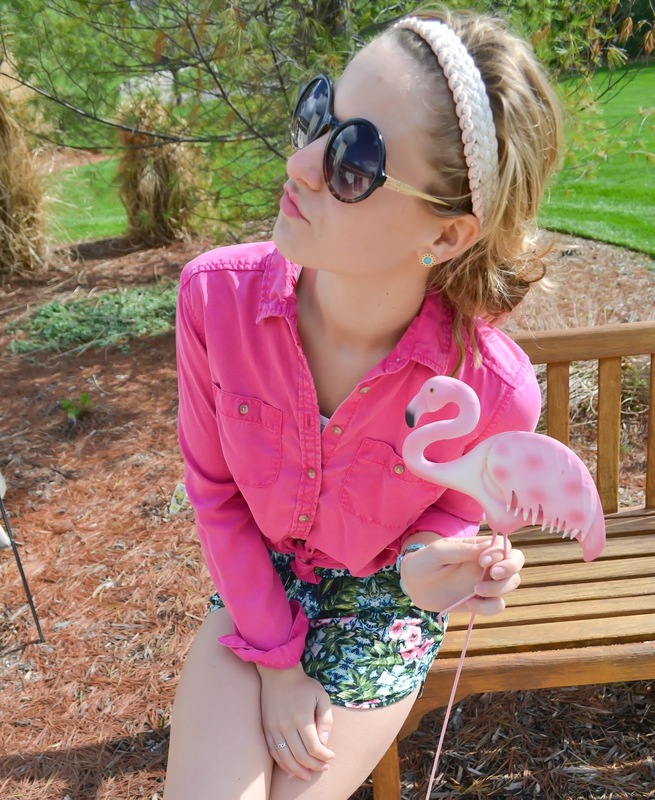 How cute is this flamingo?! Thanks Wendy! They're so comfy too! super cute! lovee the two different headbands in your hair!